We feel immense proud to acquaint ourselves as the top ranking manufacturer, exporter, and supplier of Plain Glass Roll on Bottle. These bottles designed by utilizing highest quality glass and cutting-edge tools by our highly passionate workers, in accordance with market norms. The offered bottles is provided in several stipulations and can also be modified according to the details given by our customers. With the help of our highly skilled professionals and by using advanced manufacturing techniques, we are manufacturing, exporting and supplying an exclusive range of Printed Roll on Glass Bottle. This range of bottles is accessible in an extensive gamut of designs and sizes as per the details laid down by our clients. These bottles are designed by our highly proficient professionals by using high quality glass and contemporary technology at our end. We are also giving these bottles at nominal rates. We are highly efficient in bringing forth an astonishing range of Clear Glass Bottles. Our offered bottles is made by using advance technology & machinery in compliance with specified norms of quality at our end. 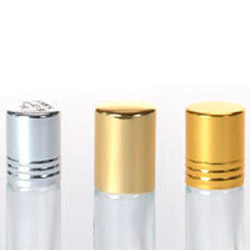 This bottle is provided as our customers want along with various specifications & modified options at reasonable price structure in varied designs, shapes and sizes. This bottle is widely demanded in the market for its quality. 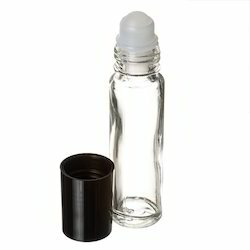 Looking for Roll On Glass Bottle ?